Pin Board with Tempered Glass Doors that are Shatter Resistant! Pin Board Works Well with Tacks! 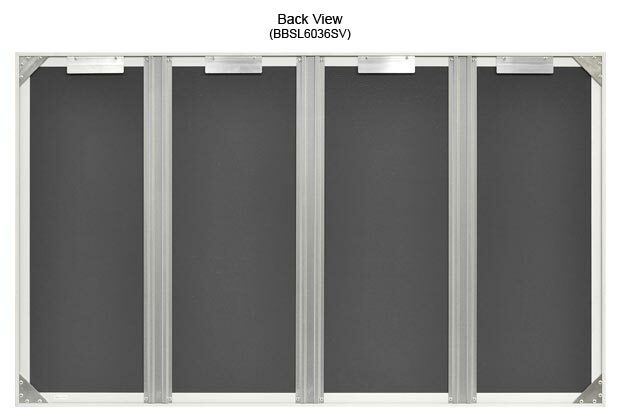 This pin board has sliding glass doors that are on guided rails tracks to make opening and closing each door simple. The tackboards use tempered glass that are shatter resistant in order to provide a safe display that can be used anywhere. The pin board also has handles attached onto each door. 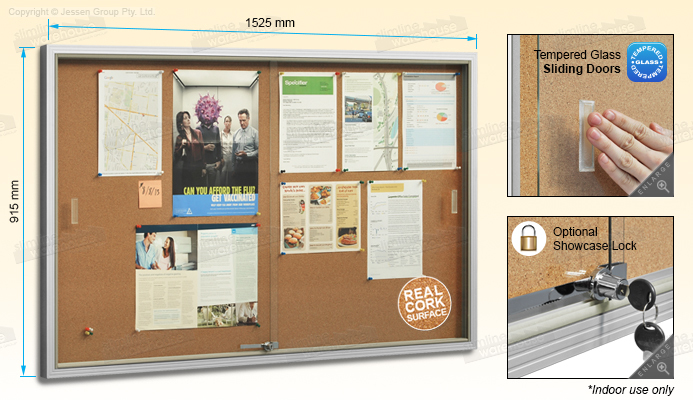 The enclosed noticeboard, pin board uses a self-healing corkboard that is 1525 x 915mm in order to provide plenty of space for placing your notices, posters, memos and other announcements using pins. The pin board is a common site in many types of businesses. Schools, community centres, universities, exhibition halls, information centres, office lobbies, and transit stations are just some of the locations you can find the cases! This pin board, also known as tackboards and glass message boards, are lockable displays to allow them to be placed in public areas without worry. By locking the doors, you can ensure the case contents won't be tampered with or altered without having to keep a constant watch on the unit. The pin board makes a great addition to any location. These tackboards are made from anodised aluminium in order to provide a durable display that can be used in heavily trafficked areas for years to come. 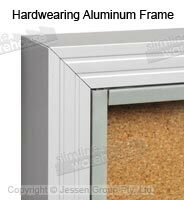 The silver finish on this noticeboard around the frame will fit in with most decors without issue, and helps to draw passersby attention towards your displayed posters. 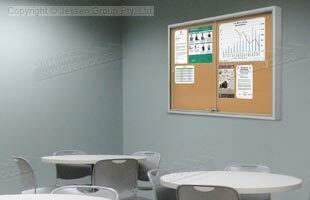 Enclosed noticeboards include installation hardware for mounting the unit at your business. Using the included z-bar, you can safely and securely place this display case on your wall. While the included hardware will work with most wall types, if unsure you should consult with a local professional prior to installation. Tackboards are a quick and easy way to display notices for passersby to obtain information about upcoming events and ongoing causes. The selection of locking signboards allow for use in public places without worry of tampering with case contents. The products available on our site number in the hundreds, with a large selection available to allow your business to pick the proper ones that will work for your needs. Choose from a variety of items, including light boxes, poster frames, cafe banners, iPad stands, business card holders, stand offs, window displays, countertop displays, and so many more. 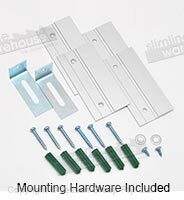 Slimline Warehouse has been in business for over 20 years, becoming a leading supplier of many different products. Our warehouse is able to provide same day despatch with most in stock items if purchased by 1pm EST and shipped anywhere in Australia. Order for your business today nationwide, including Darwin, Alice Springs, Brisbane, Cairns, Perth, Melbourne, Adelaide, Canberra, & Sydney!